Options are provides to use the lightning rod hook or Mr. Fusion power core that supplied the needed 1.21 gigawatts of power needed for successful hurdles through time. The body features a realistic brushed metal finish to supply a truly authentic look. 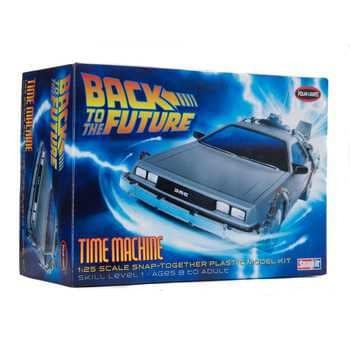 Get back to the future with this model kit!